Let’s look at ways to get your kids off their devices … even for just a while so they can experience other fun stuff! We know that everyone is struggling with the same issues. How are children going to gain any life skills when they are glued to their phones, watching videos or gaming? · Get outside: go for a hike, walk your dog, hit the playground, plan a scavenger hunt. There are so many great experiences to be had - all year round - in the great outdoors. Exposure to the outdoor environment offers children a unique stimulus that capture’s their attention and curiousity. · Play a board game or a card game: there are so many fun games to try! Pictionary is always hilarious. Playing games teaches children about following rules and fair play, as well as, other life lessons like logical thinking, strategy and taking turns. · Pick a sport that you can do with your kids: ice skating, badminton, skiing, swimming … so many options for kids of all ages and abilities! We have all read about the importance of establishing a healthy active lifestyle at a young age – these habits are essential so that kids will carry it forward as they grow into adulthood. · Go to a museum to see a new exhibit that may be of interest to your kids: Who doesn’t love dinosaurs or mummies? And while you’re there, your children may be drawn to other amazing finds. Museums are engaging and educational and can inspire children to learn more about a particular time period or historical artifacts. It also enhances what they may have learned or are learning at school. · Take a class together: cooking, drawing, painting, or drama. 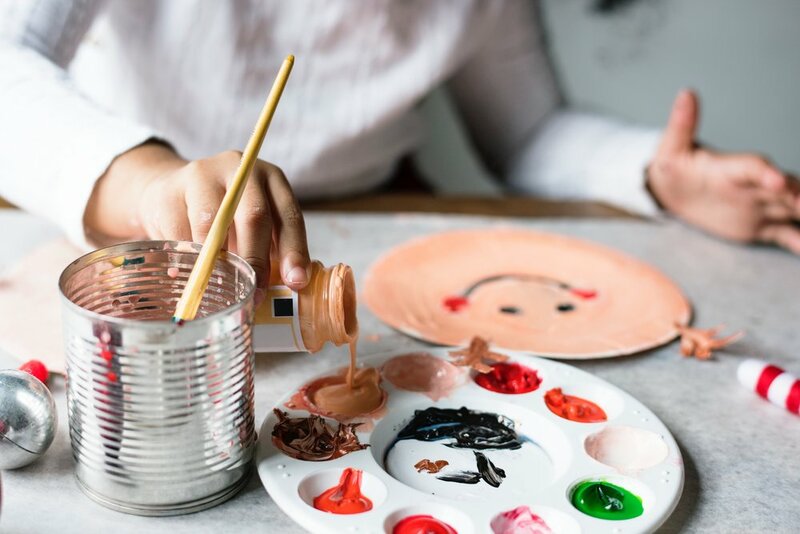 Studies have shown that participating in hands-on and artistic activities may help children to focus, learn and retain information. For example, when learning to cook, your child is working through a recipe which requires math, cognitive skills and motor skills. Plus, children love to get their hands dirty by helping with meal preparation and clean up! · Volunteer your time as a family: help at a charity event or at a food bank. Volunteering is a wonderful way to teach your children about generosity and caring that will continue through his/her life. All these experiences are extremely beneficial, and they shape your child’s development. Whenever possible, try to leave the electronics behind and get kids to enjoy face-to-face interactions, such as, playing together and working together and exploring the community. Get those kiddos off their devices so they can enjoy fun activities that bring your family together and learn something new!